Have trouble sleeping? You’re far from alone. According to a Consumer Reports survey, 68 percent of Americans (168 million people) have trouble sleeping at least once a week. Often, noise is the culprit, whether it’s a partner snoring, noisy neighbors or city sounds. 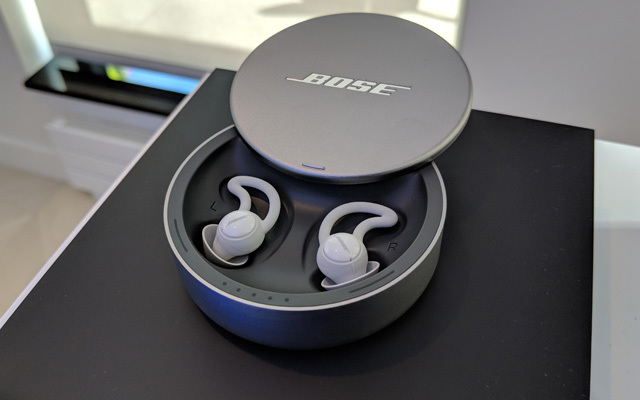 Bose has developed a product to combat these noise problems, a pair of true-wireless headphones called Sleepbuds that reduce and mask noise. Bose Sleepbuds block noise in two ways. First, the soft silicone ear tips and stabilizers passively block sound. Just lowering the overall volume, though, isn’t enough because it’s the change in noise levels that wakes us. So, the Sleepbuds also smooth out ambient noise levels by playing sound-masking soundtracks. These soothing tracks are designed to absorb the frequencies in common disruptions like snoring, so you can sleep through them. At launch, there are 10 tracks, all of which are stored on the Sleepbuds. Bose says it will be coming out with additional tracks, but you won’t be able to load your own. Bose wants to ensure the tracks have the right frequencies to level out common noises and that the frequencies that fire alarms use aren’t canceled out. Bose says you should wake if a smoke alarm goes off, but recommends you not use its Sleepbuds if you don’t have another person in the house to hear the alarm. Speaking of alarms, you can use the Bose Sleep app (free for iOS and Android) to set an alarm that only you can hear. I had a chance to try out the Sleepbuds and found them to be very comfortable – even for a side sleeper like me. The buds are tiny, sitting flush with your ear, and have very soft silicon ear tips and stabilizers. 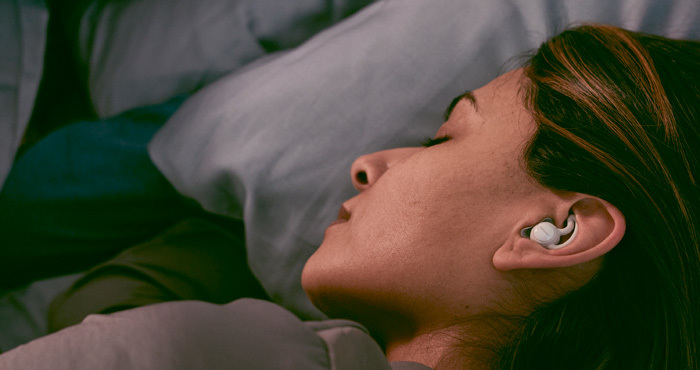 Most true-wireless headphones get about three hours of battery life, but the Sleepbuds last 16 hours per charge. The extended battery life is due primarily to its rechargeable silver-zinc batteries. Regular headphones use lithium-ion batteries and are drained by a constant Bluetooth connection to your music source. The Sleepbuds have the noise-masking soundtracks stored on the buds to reduce Bluetooth use and battery drain. The Bose Sleepbuds come with three sizes of ear tips to ensure a snug fit and a protective charging case. The case delivers an additional full charge, so you don’t have to bring the charger if you’re going away for the weekend. Available now for $249.95 at Bose.com (check price on Amazon).